When you start your search for a new vehicle, it’s essential to prepare yourself for the various steps of your journey. And by opting for the reliability and power of a Honda automobile, you’re sure to equip your family with all the technology, performance, and safety that your unique lifestyle demands. On top of these helpful insights, this FREE eBook comes packed with a collection of convenient coupons that’ll save you some cash when it’s time for you to choose your new Honda. 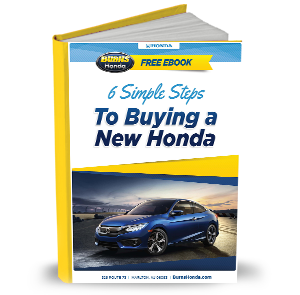 With all the perks included in this 6 Steps to Buying a New Honda eBook, why would you wait around to reap the benefits? Instead, snag your copy by clicking the link and downloading your guide today! That way, you’ll enjoy every moment of your search for the perfect Honda car.